It’s hard to believe that I’ve spent a whole month in China and that in four weeks so much has happened. I flew to Shanghai from San Francisco via a short layover in Hong Kong and arrived on the 29th of August. Unlike most international travellers I came into Hongqiao airport instead of Pudong International Airport via Dragon Air (what a cool name for an airline). This was lucky because one of my closest friends (Yeying Wang who some of you may remember from the Voice Project Aotearoa) made her way easily to Hongqiao which is much closer to the city centre than Pudong. The reason I came to China (apart from a long overdue promise to Yeying and myself) was to attend a Creative Residency. This was due to begin on the 5th of September and arriving a week early meant that we got to spend two nights in Shanghai (pronounced Shung-hai) before heading to Nanjing to spend five nights there. The first few days I have to admit everything seemed slightly hazy. The heat, the dust, the crowds – were all overwhelming. But wow China has a very special vibe and having someone who speaks the lingo makes a huge difference. We spent our first two days checking out Nanjing Road, Peoples Square, walking the Bund which has a line-up of beautiful historic building and the river by night is magical. Mostly because the cloak of darkness hides the river’s sins. The public transport in China is fantastic: 2 Yuen for a bus ride and between 2-4 Yuen for a train trip. The metro is not only super fast but it runs on time and there are trains every few minutes! One thing I will gripe about (ever so slightly) is the lack of facilities for people with special needs and therefore, people like me who have super heavy bags and have to lug them on to public transport. Note to self: travel light next time in China. For context purposes $1NZD is approx 600RNB so the Aussie dollar is worth slightly more. We also attempted to go to Shanghai museum twice but each time arrived after 4pm so didn’t make it. We did however walk around Century Park which is massive and also took the ferry across the river (another 2 RNB) and walked around another park that could have been in NZ it was so lush and green. It was also an excellent idea to check out Shanghai during a week day because there were hardly any people (in the park I mean) so it was almost like going for a walk in a park in the Waitakeres. Almost, I said almost. And need I mention the food? I’m in China and yes, the food is amazing. I have forgotten what milk tastes like and if saw a piece of toast I’d probably use chopsticks to eat it. We went to a few local restaurants where they served exclusive Shanganiese cuisine (bit cold and slimy to be honest) but we also went to a place called Grandma’s Restaurant whose food actually comes from the province of Zhejiang; coincidentally where my residency was to be held. The food there was absolutely fabulous, and the experience itself was something to remember. So many different dishes from green bean soup to Chinese pancakes to chicken/duck/pork and I totally fell in love with all the different kinds of bao (buns stuffed with meat). Eggplant has never tasted so good and neither has green beans. On the Friday (the 31st) we caught the regional train to Nanjing, only an 1.5hr ride and 140RNB later we arrived in one of the most historical cities in China. It was the seat of six dynasties. Surrounded by a 33.6km wall it has spectacular gardens including the stunning Xu Wan lake and in general not a foreigner in sight. Unlike the USA and Canada here in China I was most definitely a foreigner and apart from the obvious reasons, the main one was my mass of curly hair. People loved to touch it, play with, ask if it was real, and yes indeed lots of people asked for photos. When I first arrived I only had a few sentences of Chinese and luckily because I was with Yeying I didn’t need to do too much – at the end of my time, I’m pretty happy to say I can carry on fairly decent conversations with people in mandarin with a smattering of English words and numerous hand gestures. But a lot of that is due to the residency which I will describe in detail later. Back to Nanjing. Yeying and I stayed in her apartment which is about 40 minutes from downtown Nanjing and involved ‘crossing the bride’ aka the Yangtze River, the largest river in China. Interestingly enough, most Chinese today know it is as the Chang Jiang (Long River) and indeed it is the widest river I have ever seen. Nanjing was full of surprises. Because Yeying’s husband works in a company that has a canteen there is breakfast, lunch and dinner provided. It was interesting getting used to a Chinese breakfast which often includes meat and the soy milk (to me) did seem quite watery. However the greens, the freshly made buns and rice sticks soon became part of a daily diet. Though I must confess a few weeks in and I did start craving my eggs n bacon. 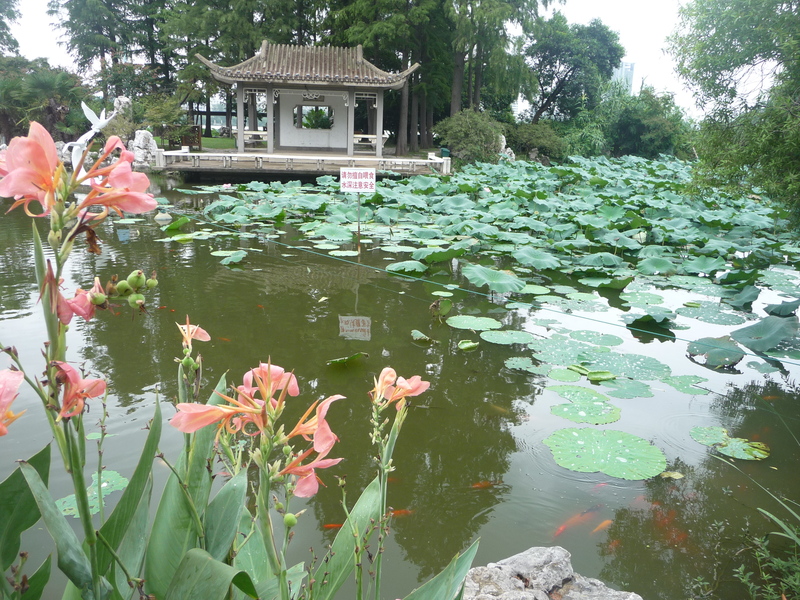 Few of Nanjing highlights included walking around the beautiful Xu Wan Lake which is opposite the train station. Most of the lotuses had died as summer had officially ended but there were still a few in bloom and we ate lotus seeds as some people were picking them while we were walking around. 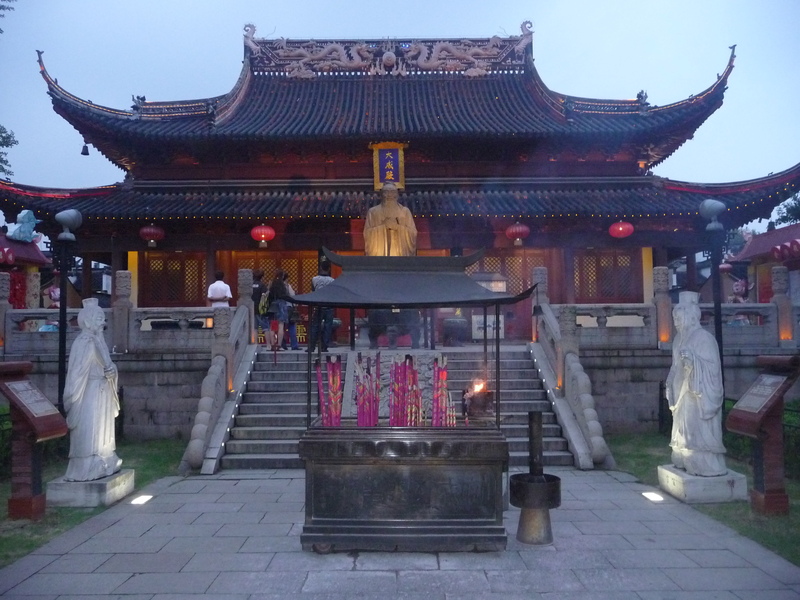 Another highlight was Confucius temple. I thought it would be a lot more touristy but strangely it wasn’t. The temple is a religious site in its own right and while there were certainly many domestic tourists people were appropriately reverent and the place was quite special. 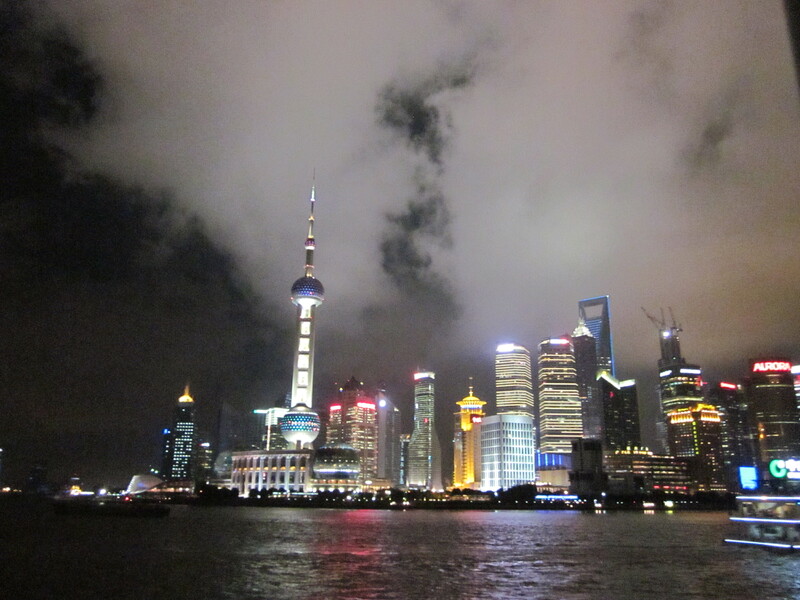 It also helped that we saw it at twilight because that’s when Chinese cities really start bursting into life. 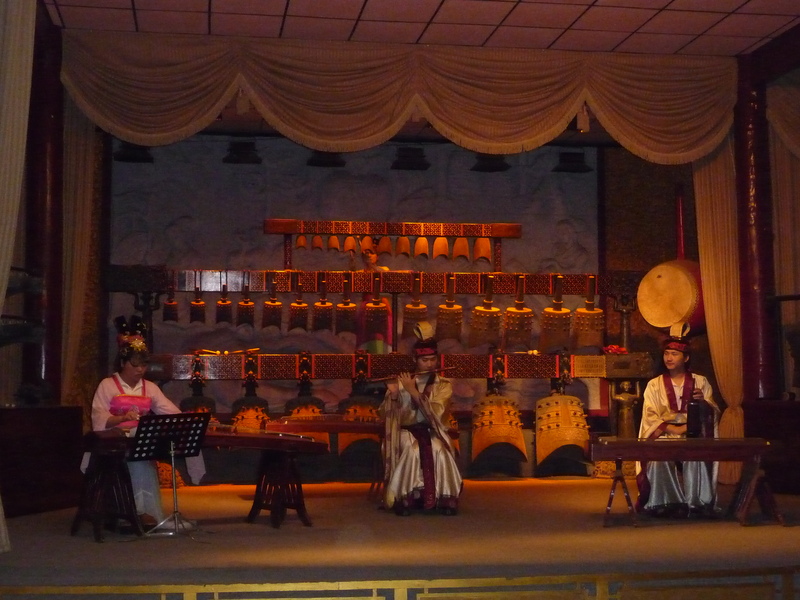 We were also treated to a fabulous musical concert by Chinese singers playing traditional instruments. Twas very cool. There were just so many experiences in China that shocked, surprised and delighted me. Utter shock at realizing that even though we were in a super huge mall if you go to the restrooms there is no toilet paper or even soap!! I’m not going to mention in detail the fact that toilets are embedded into the floor and squatting is necessary but oh well. That was one surprise. But I was delighted at how much I loved the street food and the fact that with the exception of catching a cold on the train from Shanghai to Nanjing I (touch wood) did not get sick once. Must be all the airplane food eaten over the past eight weeks of travelling that have given me a cast iron stomach. Massages are a must in China and thanks to Yeying we not only got traditional Chinese foot massages but also full body massages. As somebody who never gets massages I think I fell in love with the foot massage (also known as reflexology) not only because it included a back and neck massage as well. After endless walking there is nothing quite like someone who knows exactly how to pummel. Time in Nanjing seemed to fly by and before I knew it I had to start getting ready to embark on a train ride all by myself to Hangzhou! Watch this space for the next instalment of my Chinese adventures and my time at the Sunhoo Creatives in Residence 2012.